For a long time now I've been after a copy of Peter Mendelsund's first book Cover, about his life and career producing award winning book covers. Back in the olden days when Skillshare was more opt-in based, Peter had a class explaining his process of designing a book and instructing you how you might do the same. I was incredibly fascinated by his process and so was really keen to get a hold of Cover for more information. Alas, many birthdays and anniversaries and Christmases passed and no copy appeared for me wrapped up, so I finally just bought an edition for myself. I've had a quick flick through and I can already tell it contains some glorious artwork and will be a coffee table stable for many years! 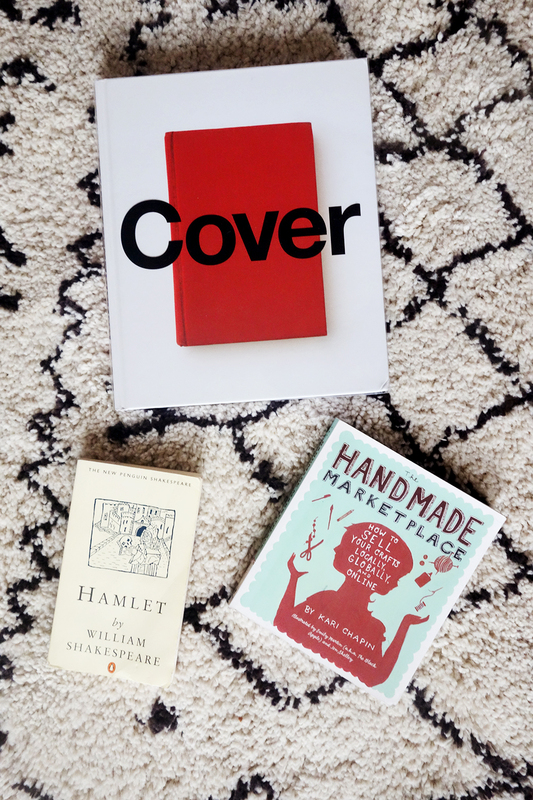 Another book I've been meaning to get my hands on for quite a while is Hamlet. Despite studying Shakespeare at GCSE, A-Level and degree level, somehow Hamlet has evaded my school books (aside from watching The Lion King at the end of term once). I've gotten so far as to read the critical essays at the start, and I'm just now delving into the script.